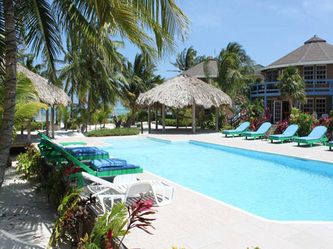 White Sands Cove Resort "Our Belize Vacation" - "Our Belize Vacation"
White Sands Cove Resort offers fully-furnished, luxurious one and two bedroom condominiums with fully-equipped kitchens, air conditioning, ceiling fans, 60-channel satellite television, hi-speed internet, futons that open to full-size beds in the living rooms and much more. 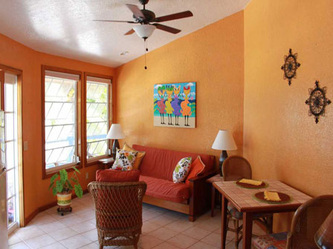 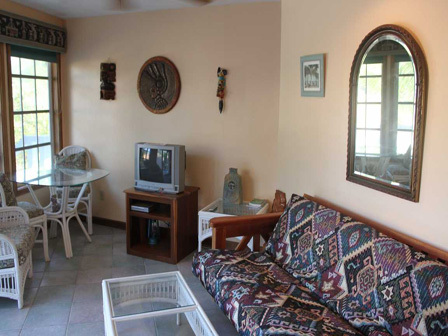 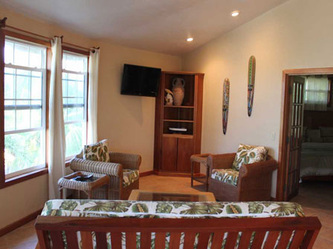 Each condo is uniquely designed and professionally decorated to make you feel at home during your stay in the tropics. Our beautiful fresh water pool is just steps from each condo and adjacent to our pool bar and lounge, which has a beautiful view of the Caribbean. 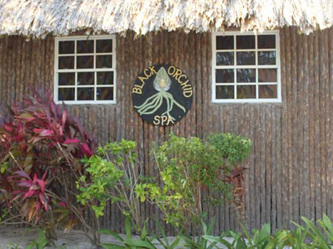 Enjoy various massages and body treatments in the privacy of our thatched roof and bamboo island-style Black Orchid Spa. Allow us to coordinate your island and mainland activities at our tour desk, conveniently located in our office. 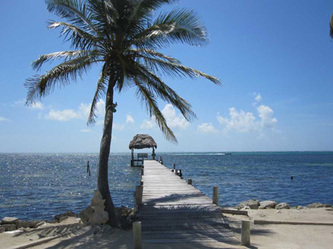 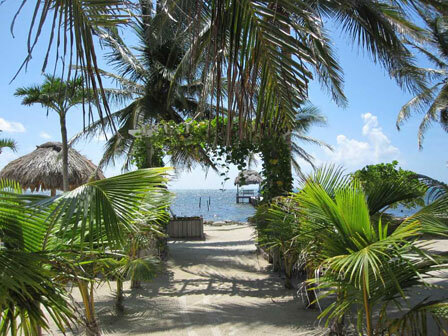 With over 30 tours and excursions to choose from including cave tubing, Mayan ruin tours, jungle canopy zip line, various fishing trips and, of course, diving and snorkeling. 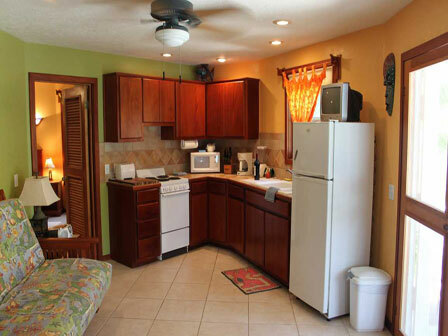 Your only problem will be fitting it all in during your limited time with us. 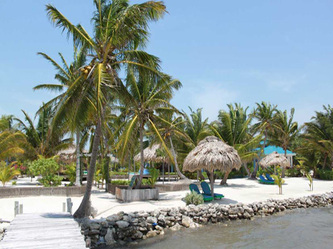 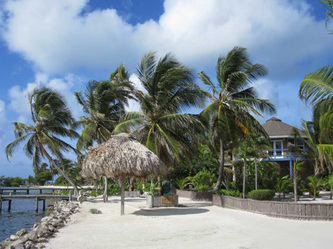 The grounds at White Sands Cove Resort are beautifully landscaped with various types of palm trees and tropical flowers native to Belize. 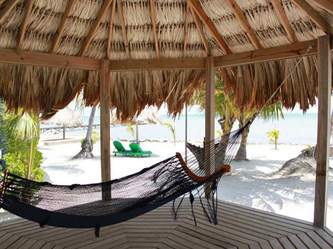 Sit back, and relax in one of our hammocks or cook up your catch on our outdoor barbeque. 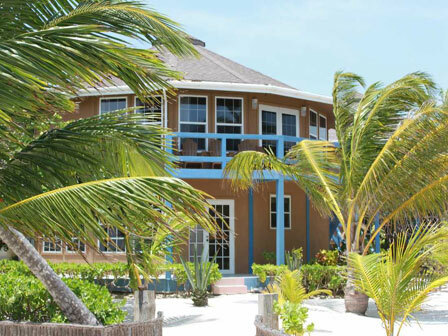 American resort owners/managers reside on the premises and are committed to providing outstanding customer service to help make your vacation at White Sands Cove Resort the perfect get-away. 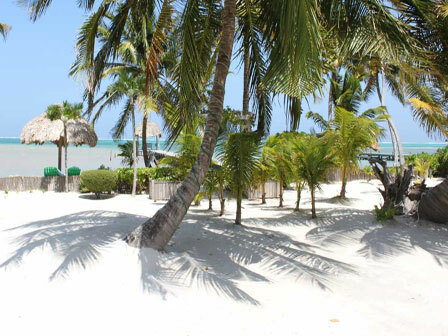 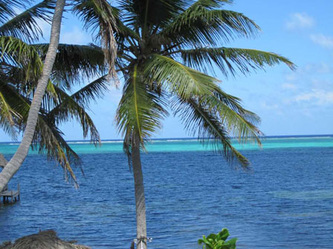 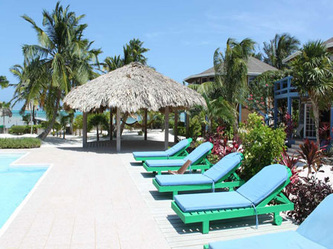 With two hundred feet of Caribbean beachfront just steps away from your front door, the white sands and warm sea breezes of Ambergris Caye will welcome you the moment you arrive. 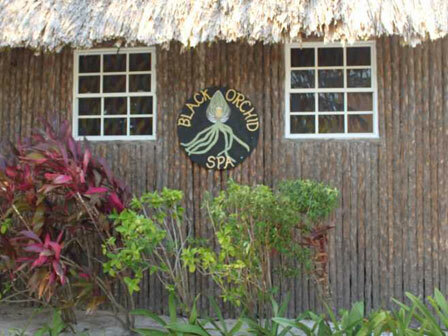 Come join us for a unique and tranquil experience you’ll never forget! Ocean Front condos are directly on the beach, just 15 steps from the water’s edge. 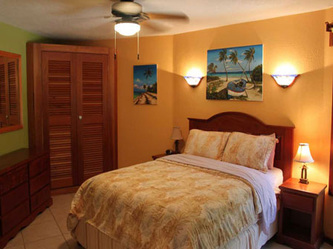 Poolside condos are one and two buildings back from the water’s edge (about 100 steps from the Sea) and provide excellent panoramic views of the Caribbean and the resort’s private pool and dock. 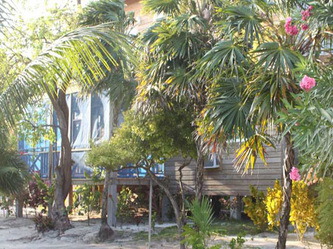 Garden/Lagoon condos are three buildings back from the water’s edge and provide a lot of privacy. 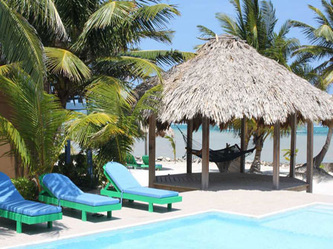 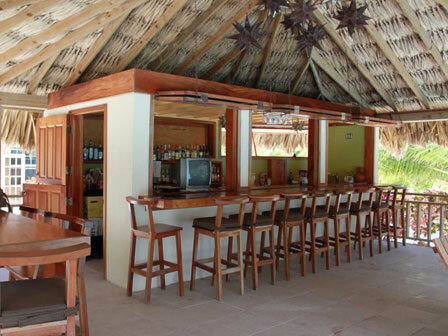 These rooms offer the best of both worlds with views of the Caribbean and the San Pedro Lagoon and are favorites of our bird watching guests who often have the opportunity to see some of the over 200 species of endangered birds indigenous to Belize. 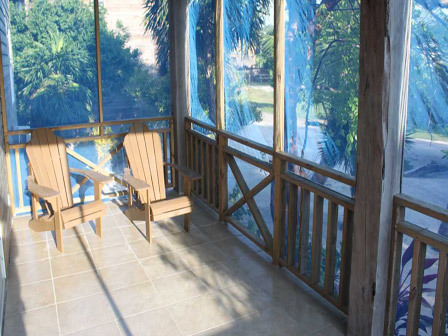 Hummingbird Loft Suite also known as our "Honeymoon Suite" sits back from the water's edge with areal views of the Lagoon from the large balcony. 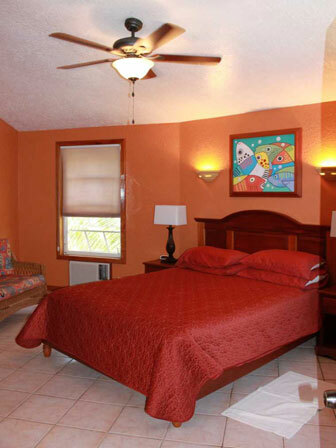 This Studio-style Suite offers one king bed and a small kitchenette. The Treehouse one bedroom condo sits back from the water's edge with views of the Lagoon from the large screened in porch. 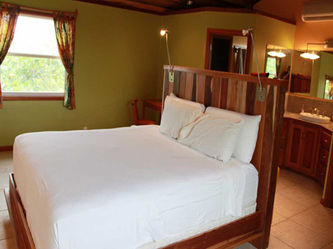 The Treehouse condo also offers privacy due to the indigenous foliage that surrounds it. 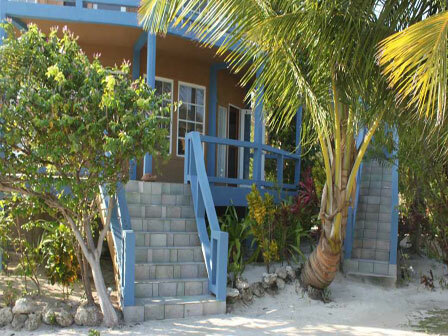 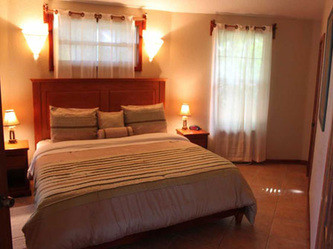 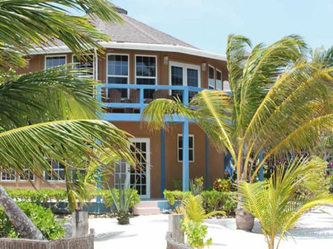 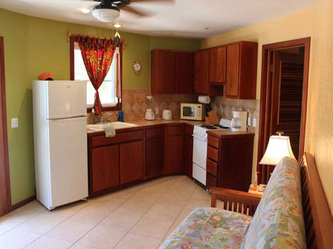 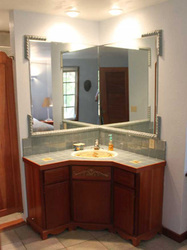 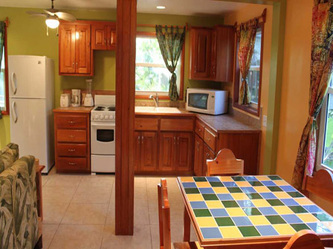 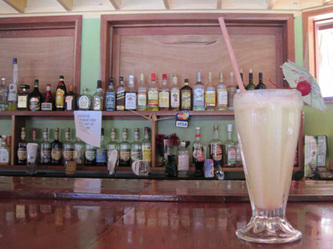 The Owner's Villa is a 2.5 bedroom house that is perfect for large families and groups of 6-8 guests. 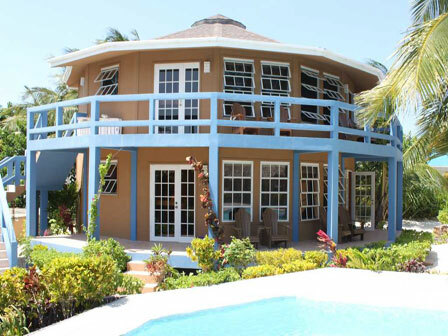 This two-story Villa sits back from the water's edge with views of the Lagoon from both the large balcony and the veranda. This home offers two master suites with king beds, and a small room adjacent to one of the master suites with queen bunk beds. 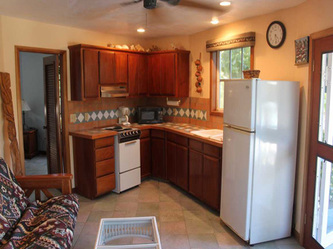 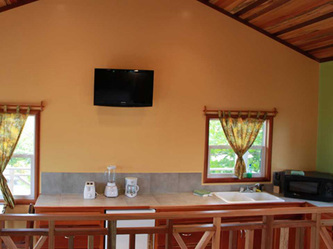 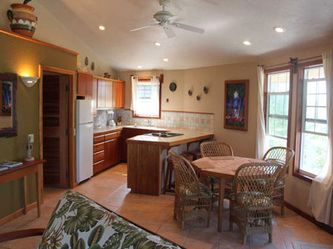 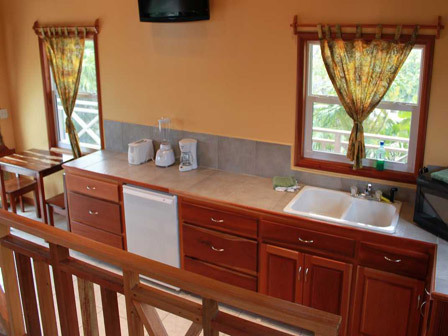 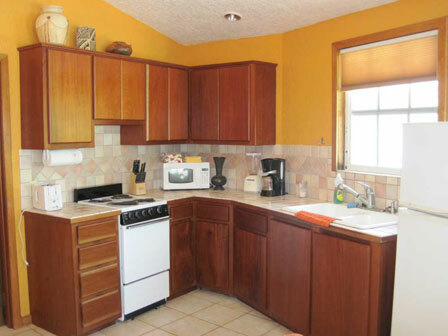 The Owner's Villa offers a large kitchen and both indoor/outdoor living areas due to the large veranda.